This Mother's Day why not use some blown eggs and an old frame to make a pretty 3-D shadowbox ? This is an easy craft project for kids that highlights some of your pretty eggs and flowers from the garden- two of ANY Mom's favorite things ! Here are the instructions on how to blow eggs using the Blas-Fix kit (link to purchase one from amazon below) which is what I use. If you blow out alot of eggs, it pays for itself. But you can also use a thumbtack, paperclip and plastic coffee stirrer/straw to blow the eggs out. For this project, I made BOTH holes on the back of the egg so they wouldn't show when they are attached. Then I set them on paper towels to dry completely. 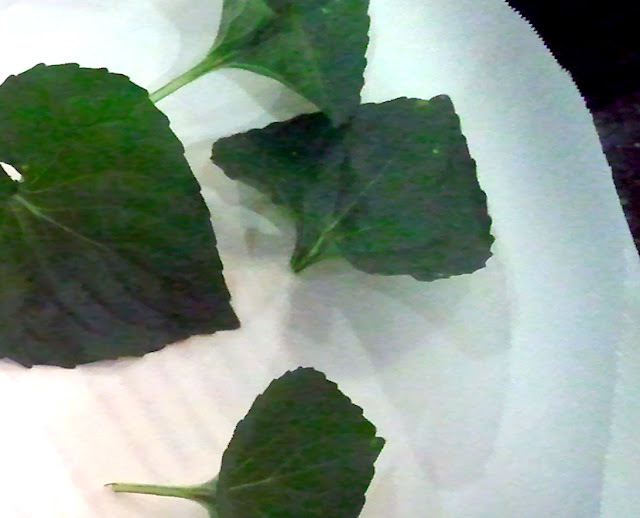 If you have the time, press flowers and leaves in between parchment paper sandwiched in between the pages of a heavy book. I used violets, violet leaves and what I think are wild sweet peas. 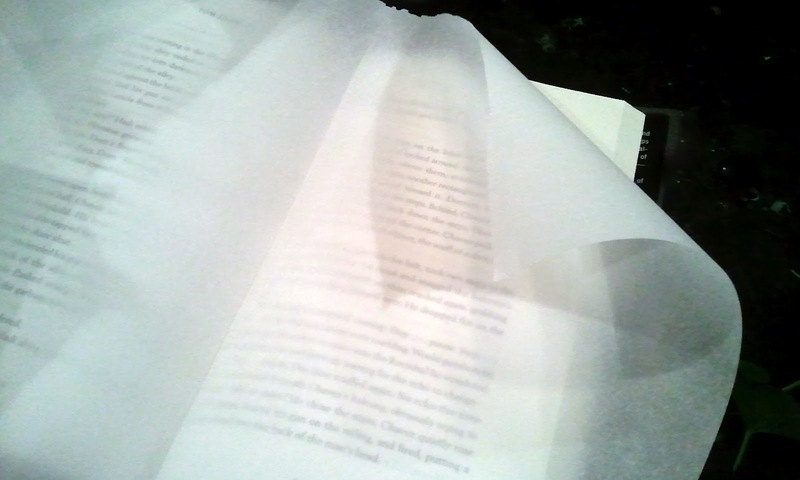 I laid them out in a single layer and then carefully closed the book. Then I stacked a few books on top and let the flowers dry for about a week. 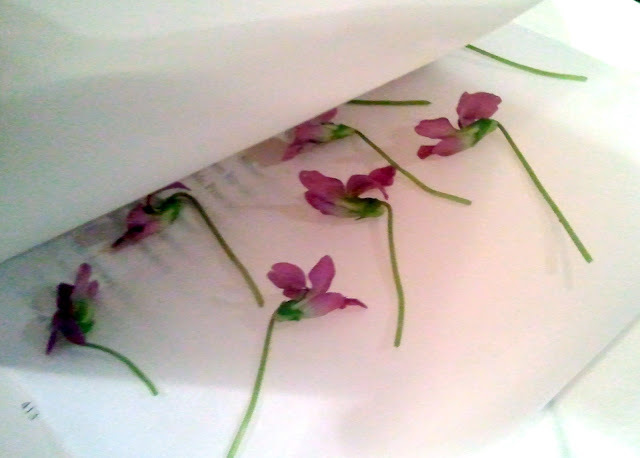 If you don't have time to let the flowers dry naturally, you can also dry them in the microwave. 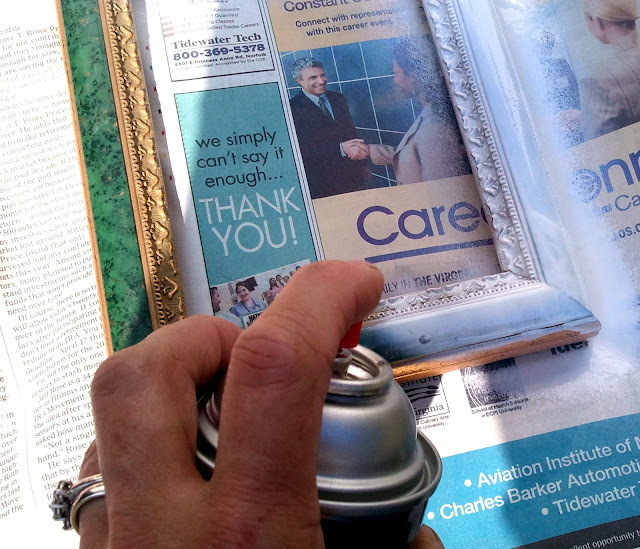 Just place the flowers in between the pages and zap for thirty seconds at a time until they are dry. 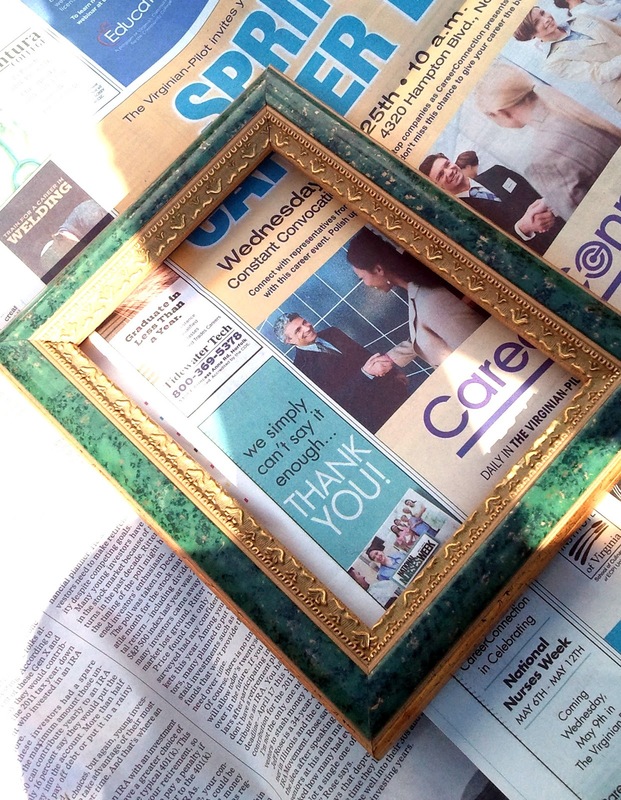 Find an old frame that will fit a 5x7 photograph. Remove the glass and the cardboard insert. 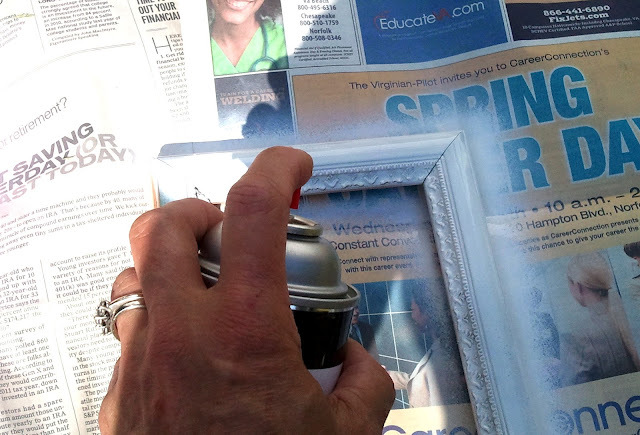 Spray paint the frame with two coats of white spray paint, letting each coat dry completely. Next cut the cardboard to fit inside the frame and cut a piece of the Mulberry paper 1" larger than the cardboard on all sides. Tape the Mulberry paper around the cardboard to cover it and insert it into the frame. Press the letter stencils onto each egg to spell "M-O-M"
Then paint each egg with Modge Podge and let dry. When the eggs are dry, use the glue gun to attach each egg to the backing where you want it to go. And using the glue gun, attach the flowers and leaves around the eggs. And there you have it ! A pretty springtime 3-d shadowbox for Mother's Day ! Thanks ! I thought it came out kind of pretty. And of course you could make it say something different.